Italian manufacturer Lancia participated in top-level rallying until 1992, winning sixteen World Rally Championship titles. Lancia has been very successful in motorsport over the years, and mostly in the arena of rallying. Prior to the forming of the World Rally Championship, Lancia took the final International Championship for Manufacturers title with the Fulvia in 1972. In the WRC, they remain the most statistically successful marque (despite having withdrawn at the end of the 1993 season), winning constructors' titles with the Stratos (1974, 1975 and 1976), the 037 (1983) and the Delta (six consecutive wins from 1987 to 1992). The Delta is also the most successful individual model designation ever to compete in rallying. All this gave Lancia a total of 11 championships over the years. Juha Kankkunen and Miki Biasion both won two drivers' titles with the Delta. Among other drivers to take several World Rally Championship wins with Lancia were Markku Alén, Didier Auriol,Sandro Munari, Bernard Darniche, Walter Röhrl, Björn Waldegård and Henri Toivonen. The history of the brand in rallying is also tainted with tragedy, with deaths of Italian driver Attilio Bettega at the 1985 Tour de Corse in a Lancia 037 and then Finnish championship favourite Toivonen in a Lancia Delta S4 at the same rally exactly a year later. These deaths would eventually lead to the end of Group B rallying. In 1982, just as they had done one year previously with sports cars, Martini Racing signed with the works Lancia team, sponsoring the brand new Group B Lancia 037, with Attilio Bettega andMarkku Alen as drivers. 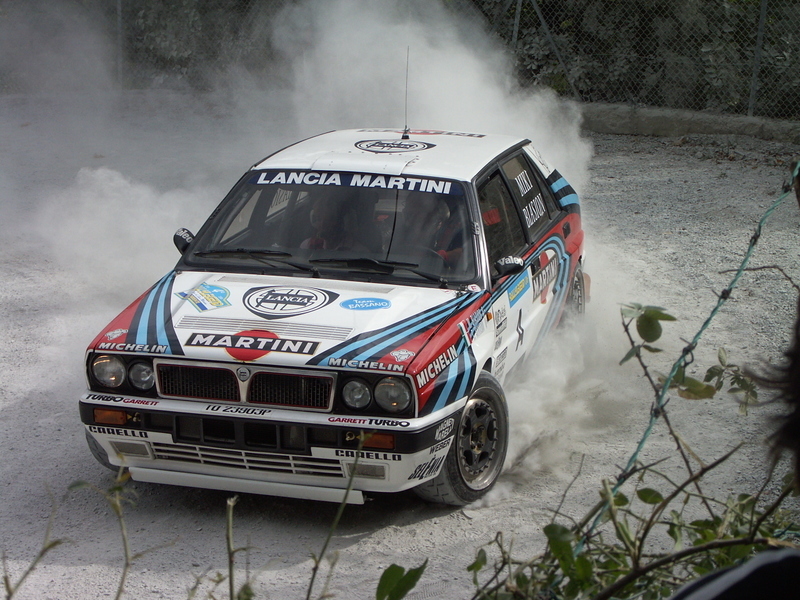 The Lancia Martini partnership in the World Rally Championship was one of the company's longest, remaining until the end of the 1992 season, with several cars, including the Group B Delta S4 and Group A Delta Integrale winning events and titles with drivers such as Juha Kankkunen, Bruno Saby, Massimo Biasion and Didier Auriol. 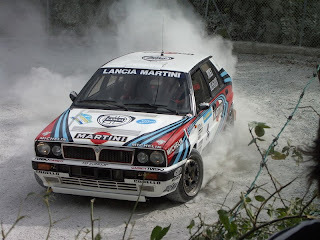 The Martini Lancia cars won the WRC Drivers' title in 1987 and 1991 with Kankkunen, and 1988 and 1989 with Biasion, as well as the Constructors' title with the 037 in 1983, and consecutively with the Group A Delta from 1987 to 1992. In 1993, Martini managed a smaller sponsorship program, restricted to the Italian Rally Championship with Italian rallyman Dario Cerrato. Last updated on 21 August 2013 at 13:13.